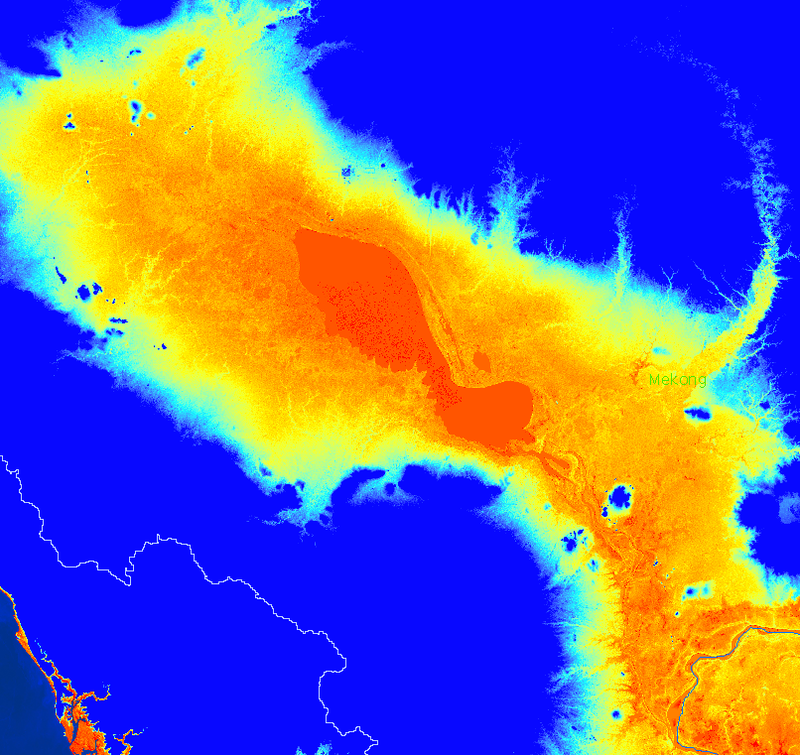 This is the Tonle Sap area off the SRTM DEM (HydroSHEDS version). Elevations from 0 to 50 meters are stretched across the color spectrum. The Mekong Basin boundary is shown in white. The Mekong mainstem crosses the southeast corner and the seacoast lies in the southwest corner. 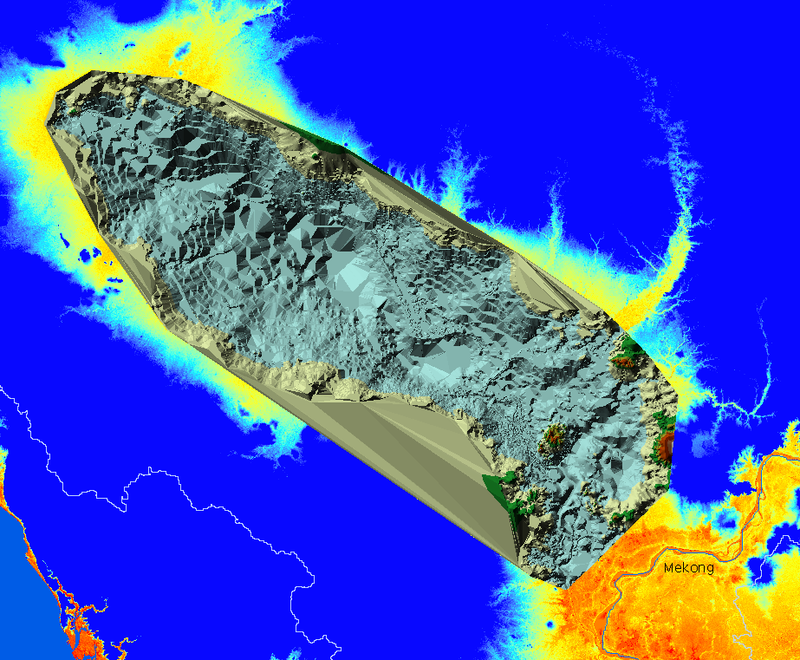 A DEM with bathymetry is laid over the SRTM DEM. Cellsize is 100 meters, slightly larger than the SRTM cellsize. This is a grid made from a TIN. There is good new information, but it is not trimmed to match the DEM. Taking the minimum of two DEMs will not solve the problem. This is essentially the same DEM, but stored as a TIN of 2083165 triangles. I will have to delete the large edge triangles before using this as an overlay. 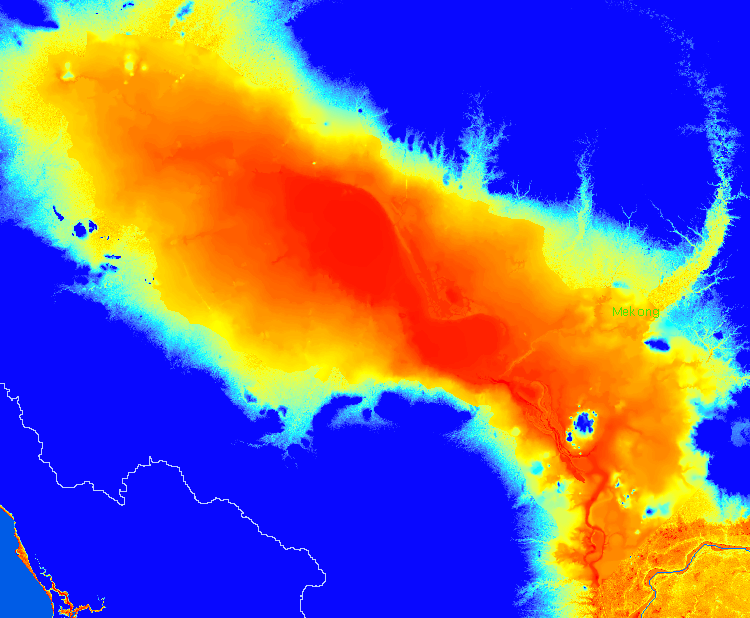 and here is the clipped Tonle Sap DEM laid over the SRTM DEM. There is a very good fit in lat-long but the dry elevations are not so well matched. That's something to think about. and this is the clipping boundary.